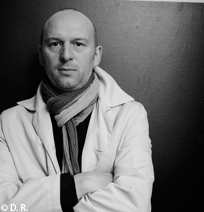 A French composer born April 21, 1968 in Blois. A student at the conservatories of Aix-en-Provence then of Nice, notably with Jacques Charpentier, Jean-Louis Agobet entered the Lyons Conservatory in 1988 and followed the teaching of Philippe Manoury. After a course at the Centre Acanthes (1989), then at Ircam in computer music (1994), he was in residence at the Villa Medici from 1996 to 1998. Since 2008 he has been teaching composition at the Caen Conservatory and, in parallel with his career as a composer, is an active lecturer and teacher in France, Europe, China and Japan. The author of an essay on a pedagogical approach to creativity in sound, Écouter, jouer, crée, his wish was to help children appreciate music through the presentation of compositions, lectures and workshops. In residence successively with the Orchestre National de Montpellier, the Orchestre Philharmonic de Strasbourg and the Orchestre des Pays de Savoie, he enjoys composing for symphonic formations and soloists of international renown. A disc of his orchestral works was awarded the distinction of ‘classical recording of the year’ at the Victoires de la Musique 2006. An eclectic, Jean-Louis Agobet finds sustenance in different traditions and in current trends, synthesising them in an experimental approach. His works include Strati (1992), Petit édifice (1995), Étude des forces (1997), Fanal (2001), Est-ce que vous êtes prêts? (2003), Sectio (2008), Reverso (2009), Clarinet Concertino (2010). AGOBET Jean-Louis. Création (musicale) et illusion(s) [en ligne], 2012. Disponible sur : < http://cordesetames.com/2012/09/10/creation-musicale-et-illusions/ > (consulté le 01/10/2012).